Since 90% of kids in the GTA are not getting enough physical activity, YMCA is developing a variety of initiatives to address this issue and help support families. More than 11,000 children at YMCA child care centres and local schools in the GTA will take the YMCA Kids Challenge to raise awareness about the importance of physical activity for kids. Together, they have a goal of raising $150,000 to help more kids get healthy and active at the Y. The kids will kick off the challenge with a walk around their neighbourhood, which leads into a week long Healthy Kids Challenge. The Y invites all families to get moving regardless of Y membership by using a series of activities that can be downloaded online. 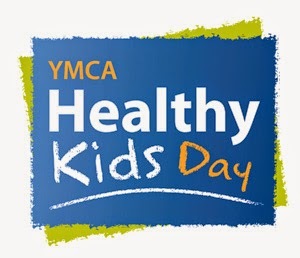 Celebrate your Healthy Kids Challenge accomplishments by going to the Healthy Kids Day on June 1, when YMCAs across Canada will open their doors for a free day of fun activities to encourage families to get active. Activities will differ at each YMCA, and are free for everyone including free gym time, arts and crafts, family fitness classes, bouncy castles, parent resources, bike tune up clinics, appearances from TVO personalities and more. If you are not able to attend on June 1, but still interested getting active follow @YMCAGTA and help share their messages about the benefits of adopting a healthy lifestyle with the hashtag #YHealthyKids. What a great program - we live in such a huge technology age where kids (and adults) are glued to electronics and tend to be more inactive.. I really like hearing about the encouragement to get up and get out! We don't have a Y very close to us but I've heard there's one going in to a new area that is very close within a few years. I'm looking forward to it. This is a great program and they offer a lot of fun activities. YMCA is great for so many things. This is a great program! I love what Camp Day does at Tim Horton's but, what do kids do for the rest of the year or when they aren't participating in the usual summer sports? I think kids need to learn to physically play and not be immobile with video games and other online activities. 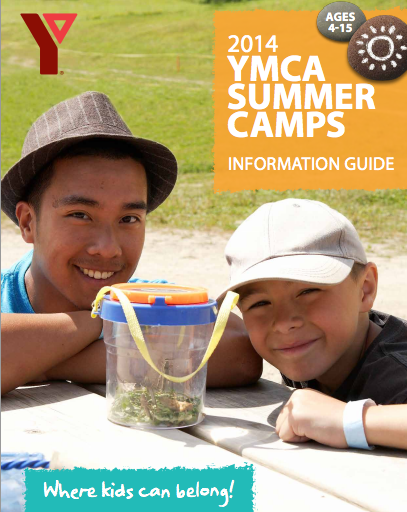 I think the YMCA camps are great and an opportunity for kids to do a variety of activities they might not be able to do at home, and with other kids!